Unless you are an incredibly talented writer or you write about mainstream topics with broad based appeal, only a small percentage of people will ever share your content. Even with my most popular posts, visitors click on my Facebook share buttons less than 1 percent of the time. And this is the case even on my highest CTR articles. In the past, I’ve had several posts gain social traction but in general, the content that I write for my blog rarely goes “viral”. The same is true for my ecommerce store. In fact, customers hardly ever share products from our shop on Facebook even if they love what we sell and are willing to refer their friends. How often do you share a post on Facebook? How often do you share a product from your favorite store? I’m guessing it’s pretty rare. For me personally, I probably share 1 item out every 5000 posts that I see. And in most cases, I’m sharing posts to help my friends promote their content. Without any incentive, I can easily go for many months without sharing anything at all. Bottom line, most people are hesitant to share a page because it goes out to their entire feed. And because it’s a fairly large commitment to hit the “share” button, people often need a little push. In today’s post, I will share with you a very simple tweak that I made to increase the number of Facebook shares which in turn has led to an increase in email signups. First off, there’s nothing new about the concept that I’m about to show you. I already use it all over my blog and I use it all the time with my kids. Right now, I nudge people to sign up for my email list by offering a comprehensive 6 day mini course on ecommerce. And on a regular day, I get between 150-250 email signups. But back before I used a lead magnet to entice people to join, my conversion rate for email was easily 20X lower that what it is today. People need a reason to take action and people need a reason to share. So to solve my social sharing problem, I started giving away free content in return for a share on Facebook and it has dramatically increased the number of shares and email signups for my blog. Here’s what my Facebook share flow looks like today. When someone signs up for my email newsletter, they are immediately taken to a special bonus landing page where they can access extra bonus content in return for a Facebook share. I’ve replicated my exact offer in the section below for you to see. It’s a working demo so give it a try! Note: If you haven’t seen my Amazon launch tutorial, you should definitely check it out by clicking on the Facebook share button below! (FREE Training Video) How To Launch A 6 Figure Product On Amazon – This step by step video will walk you through everything you need to know to launch a successful product on Amazon from complete scratch. After sharing the post, visitors are taken to a special page with the bonus freebies. Note: I make sure that the bonus freebie is a valuable piece of content and worth their while. In this case, I’m giving away a very comprehensive tutorial on how to launch a successful product on Amazon. This landing page has been running for a little over a month and here are some stats. This is all traffic that I would not have had otherwise! Creating this little share gate is super easy but it does involve a little cut and paste source code which I’ll provide to you right here along with detailed instructions. 1. The first thing you need to do is to get a Facebook Developer account. Click here to get started. Note: You will need to verify your phone number in order to create a developer account. 4. 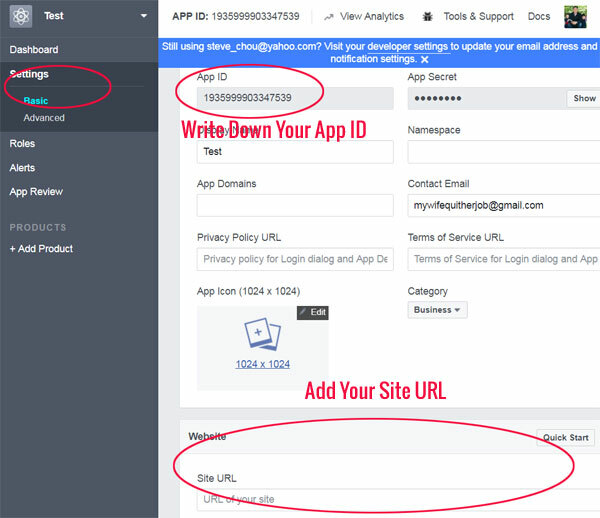 Make your app live. 5. Add the following code on pages where you want to implement your Facebook share bribe. Note: You’ll need to populate your App ID with the App ID you obtained above. You also need to fill in the other verbiage marked between the <> symbols below. Congrats, you’ve just implemented your first Facebook share bribe! 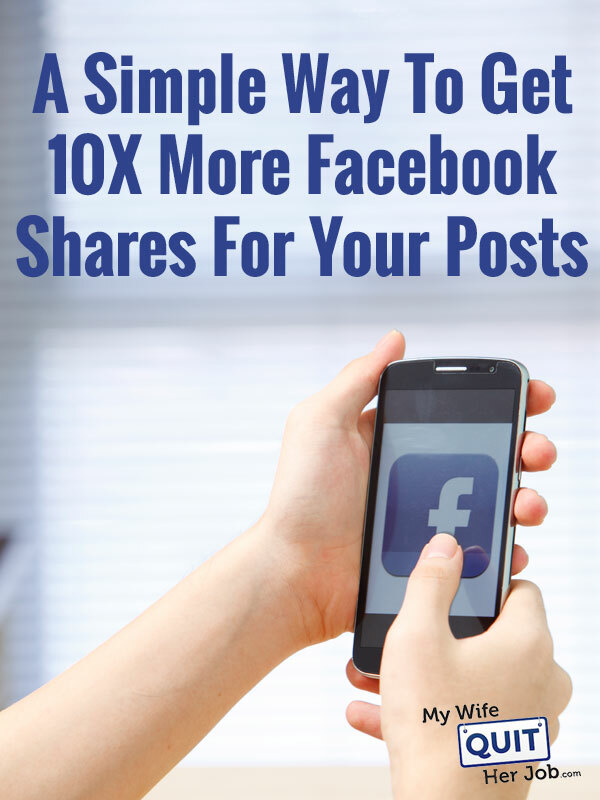 While I’m currently using this method to attract more Facebook shares to my 6 day mini course, this is just the tip of the iceberg in terms of what you can do. If you want to encourage more social sharing for every post on your site, you can create a special content specific upgrade that is only revealed when the post is shared. Anyway going forward, I plan on adding content specific upgrades to my highest traffic posts to give them a boost. But I will only offer this incentive to people who are already signed up for my email list. After all, email signups are still worth more than social shares. This method of increasing social traffic can easily be extended to promote your ecommerce store as well. Here are a few strategies that I plan on implementing with Bumblebee Linens going forward. As soon as someone makes a purchase, a Facebook share will reveal a special coupon code that can be used towards a future purchase. Remember my wheel of fortune plugin? I can easily grant customers free spins of the wheel in return for a Facebook share. Anyone who signs up for my email list can also have access to a valuable piece of content or a coupon code in return for a share. In theory, you can also use this strategy to reduce the cost of your Facebook ads by increasing the social proof of your content BEFORE you launch your ad. But the point is that you have to give something valuable in return for the share. And while this requires a lot more work, the results are worth it! Oooh, thanks for the code and instructions! I’m going to implement this. Have an awesome Tuesday! On the flipside, maybe more people sign up (due to any kind of conversion optimization activity, such as pop-up, content upgrade, etc. not just this), but generally speaking, unless that person is genuinely interested, he/she’ll just be an inactive subscriber on your list. We need to remind ourselves that increased email conversions are not always equivalent to increased sales. Many times a big list is equivalent of vanity metrics only. Amazing Articles! I tried Your tips and Let’s see if we can get interaction from users. However, I have also purchased Facebook Post Shares from Alwaysviral and it works out like a charm, they do provide 24*7 online support, however, I never needed this 24*7 support because their services are too good. I will recommend everyone to use Alwaysviral website to boost their profiles. I Purchased 2k Facebook Post Shares from them and got pretty good appreciation.